1. 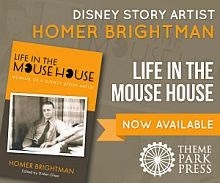 Before he passed away, Eric Larson was writting a book about his career at Disney called "40 Years at the Mouse House". The book was never completed but Eric took extensive notes for it. 2. Wilfred Jackson seems to have written a diary during many, many years. Wilfred was extremely detailed in his correspondance and in his work so I suscpect that those diaries would be a true treasure trove if found (and if they exist). Through other sources, we also know that Jack Speirs was working on an autobiography before he passed away. 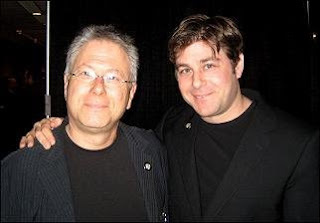 I have contacted Eric Larson's nephew who confirmed that Eric's notes were not found by the family after he passed away and Dave Smith tells me that they are not at the Disney Archives. We are trting to locate Wilfred Jackson's daughters but this is proving to be a very elusive task. Finally I have tried locating Jack Speirs widow, Hazel, but I have a feeling that she might have passed away. Once again we are faced with lost documents and manuscripts. This being said, the first step to finding lost documents is to know that they probably exist, hence this post. 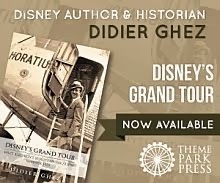 If anyone has any idea of how to locate any of them or know of other rumored documents related to Disney History that have disappeared, please do email me. [Today on Cartoon Brew TV we're presenting a lost piece of Disney-related history: the Van Beuren short "Dinner Time" (1928). Why is it lost Disney history? This is the film that inspired Walt to pursue making "Steamboat Willie". 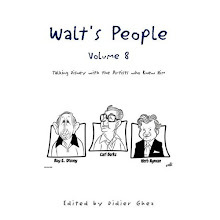 It was a sound film that Walt saw in New York in 1928 and which made him realize that he could do a better job of combining sound and animation. 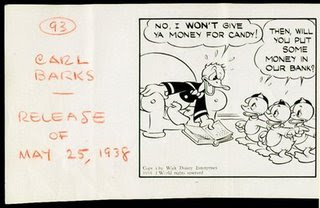 "Dinner Time" is specifically mentioned in a letter from Walt Disney to his brother Roy and collaborator Ub Iwerks. 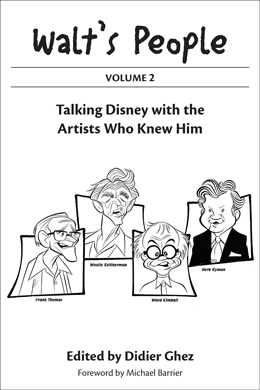 Excerpts from the letter are reprinted in the Disney bios by Neal Gabler, Bob Thomas and Michael Barrier, but the actual film hasn't been seen in 80 years. Check out this page to see the short. I will be in Paris this weekend and on Monday. The blog will be updated again on Tuesday. 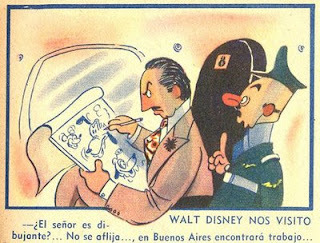 The above drawing was created in 1942 by the artist Divito for the Golden book of the Argentine magazine Patoruzú in 1942. I will be away tomorrow. The blog will be updated again on Friday. [For sale on Ebay just now, see enclosure. This is an original issue of "INTERNATIONAL PHOTOGRAPHER, MOTION PICTURE ARTS AND CRAFTS", the December, 1933, Volume 5., Number 11. edition of the Magazine, published in Hollywood, California. 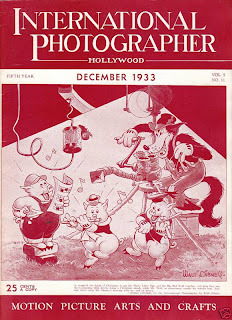 "This magazine represents the entire personnel of photographers now engaged in professional production of motion pictures in the United States and Canada. ", according to the copyright page, with credit also given to Local 659, I. A. T. S. E., and M. P. M. O. of the USA and Canada. This rare issue featured a nice range of articles by various experts in the field, including an interesting piece on "THE STORY OF SLIDES AND TITLES", by Earl Theisen, "MOTION PICTURE IN INTERNATIONAL UNDERSTANDING", BY WILLIAM A. REID, "MOTION PICTURE SOUND RECORDING", by Charles Feldstead, and pieces on Cameramen, The Camera in the Everglades, Lab Men, The Newsreel World, Cinematographer's Note Book, Television Sets Football Record, and Classifieds, etc., plus great period advertisements throughout for technical products and services, much in the Art Deco style of the period, and of course the very nice cover illustration concocted by Walt Disney himself "in the spirit of Christmas...to get the Three Little Pigs and The Big Bad Wolf together...", drawn especially by Disney for the Magazine. They were donated by Jimmie Dodd's widow to World Opportunities, a relief organization headquartered in Hollywood, CA. My mother and fathered worked at "World Op" in the late 80’s and early 90’s. My mother was in charge of all incoming donated items and food—mostly from big corporations. She called me immediately (when I was still at Disney Imagineering.) I made a large donation to the organization in exchange for these guitars which they had planned to put in there thrift shop. They are both in excellent condition. • Martin 18-T (Tenor guitar), 1958, four string. 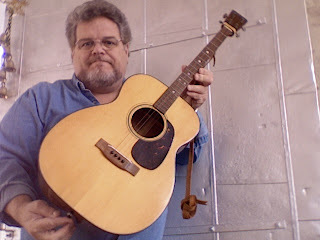 (Martin serial number, 160750) At 35" in length, it is bit smaller than a full size 6-string guitar. It is excellent condition, especially given that it is FIFTY years old. It has new strings, can be tuned and sounds "Terrific!" and "Amazing" according to guitar-player friends who have played it. 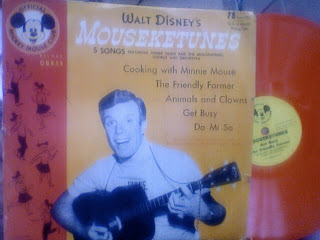 * I also own a 78-rpm record (photo attached) showing Jimmie Dodd playing a Martin Tenor guitar. I have no way of knowing if this is the guitar I own but it is just a great resource that I would include with the sale of the set. • National Tri-cone Resonator (1928) The model I have is the rare "pear-shaped tri-cone." 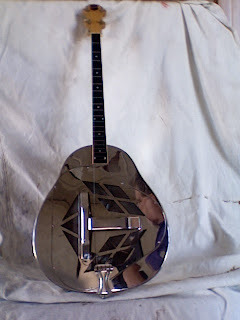 Mostly the National Guitar Co. made resonator is traditional guitar shapes. These "pear-shaped" models were introduced to attract banjo players as they were more compact but with the same "big" acoustic sound. The tri-cone has three "speaker-like" round resonators inside, behind the strings that amplify the sound. When you first strum it, it's quite amazing, even startling. The letter begins: "Dear Jimmie and Happy..."
All-in-all a most curious collection of items—rare and valuable. I hope to find a new home with a Disneyanna collector for the pair and their accessories. Both experts said they could not place a value other than for the guitar models, age, and condition. They both felt their value would only increase if sold to a collector. I was able (in 2005) to find a couple National Guitar Pear-shaped Tri-cones on line for sale at $1850 and $2,600. Again, I’d like to sell them as a set as their primary value is their association to Disney, Jimmie Dodd, and the Mickey Mouse Club—though both guitars are in excellent condition for playing. I will supply the buyer with a hard copy letter, over my signature, to verify that they had indeed belonged to Jimmie Dod an that my family obtained them directly from his widow in the late 1980's. 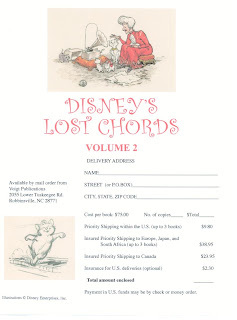 I am sending this letter to anyone who inquires about these guitars and National Fantasy Fan Club, and a few other collector/dealers I am aware of through my 18 year work as a Disney Imagineer and then consultant to the Disney Company and Studios. (Photos below) More pictures available upon request. [I thought you would like to see the two attached images. 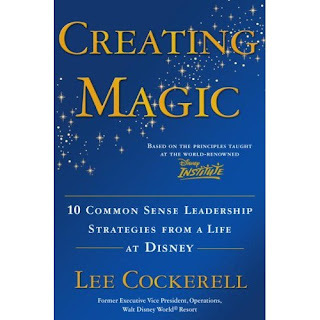 I have just updated the Disney Books Network and while doing this stumbled on the upcoming book Creating Magic: 10 Common Sense Leadership Strategies from a Life at Disney. I don't usually list business books, but this one could be fun considering who Lee Cockerell is. 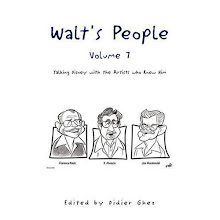 Just a quick update to let you know that I have approved the galleys of Walt's People - Volume 7, which means that the book should be released within less than 4 weeks from today. 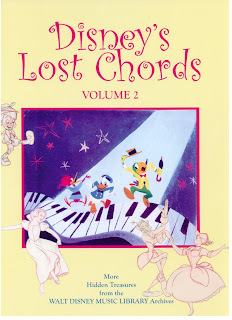 I have just received my copy of Disney's Lost Chords 2 this morning. 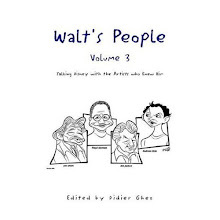 Can you believe that this book is even better than Volume 1? The amount of never-seen-before artwok is staggering and the songs are nothing short of fascinating. From my point of view this is not only a "must-have" but also one of the very best books of 2008. I was contacted recently by a reader of the blog who would like to find some information about Pat Powers. I realized, after having checked a few sources that we do not know much about him and thought this was a very good questions for the blog. Would anyone of you be able to conduct some research about him? 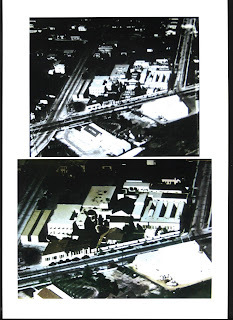 [Here's another scan of a photo from the CD-Rom: "Walt Disney - An Intimate history of the Man and his Magic"; an aerial view of the Hyperion studio in the 1930's. [By now you must be inundated with Perce Pearce material, but in case no one has sent you that obituary yet, here it is. This was printed from a microfilm copy of the Waukegan News Sun, dated July 5, 1955. The obit appeared on the front page of the paper, and the information in it was likely supplied by his sister, Isabel Pearce. Percival C. Pearce was born Sept 7, 1899, to Dr Percival Pearce and Jessie Cook Pearce. He was born on his father’s birthday, which likely settled the issue of what to name him. His father was a physician-surgeon and sometime druggist. 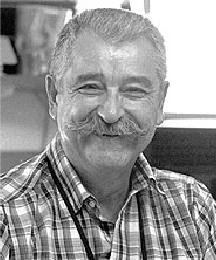 He had two older siblings: Stamford W. Pearce, who passed away at an early age, and Isabel Pearce. He may also have had a younger sister Margaret, according to his obituary. 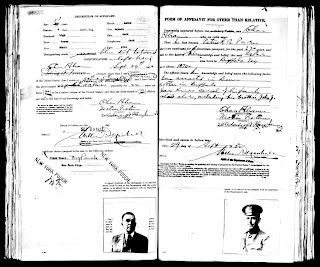 His grandfather, W.S. Pearce, had been apprenticed to a druggist in Essex, England, before immigrating to the US. This grandfather settled in Waukegan, Illinois, around 1859, where he raised a large family and invested shrewdly in local real estate. Two of his sons (including Perce’s father) and one of his daughters became physicians, another daughter became a teacher, and yet another daughter, Winifred Pearce, became an artist. She also taught art to students, and operated a small art supply shop. (It was Perce’s uncle, Dr William W. Pearce, and not his father, who served as mayor of Waukegan). Perce evidently took after his Aunt Winifred, who lived two blocks away from him. He is listed in the 1916 edition of the Waukegan City Business Directory as a cartoonist, at the age of sixteen, and the listing continues through 1919, when he lit out for Denver, Colorado. 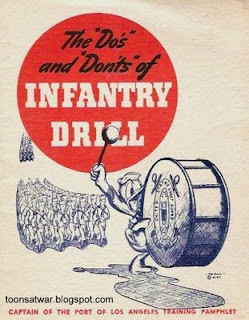 His first published work was a series of cartoons for the Great Lakes Bulletin, a military newspaper serving the US Naval Training center at Great Lakes, Illinois, just a few miles south of Waukegan. He appears to have been hired for the job by a news syndicate called the Publicity Feature Bureau. Perce’s cartoon series was named after its hero, Seaman Si. There are images of this series available around the internet, but if you need any others, let me know. The series ran in the paper, was collected into a soft-cover edition in 1917, and reprinted in book form in 1918. At the same time, Perce did editorial cartoons and political caricatures for his news agency, some of which appeared in the New York Evening Post, and were later included in a 1917 article in Cartoons Magazine called "Under the Big Dome" by Elisha Hanson (v. 11, no. 4, Apr. 1917). In late 1919 Perce left his original position to work directly for a Denver newspaper as a cartoonist. He took a room in the house of John Cory, who was also a cartoonist for the same paper, along with a third cartoonist, Charles Cahn. (I don’t know the name of the paper, but suspect it was the Denver Post). He worked as a cartoonist in Denver through 1920, but my trail of information on him dries up until 1930. 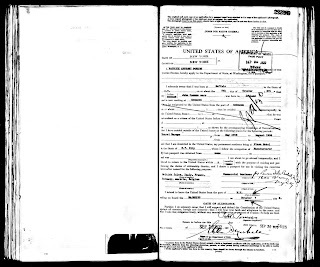 He appears in the federal census for that year in Bay City, Michigan, as the president of his own company. He was still single, but within a year would marry June Herrig Swan, the daughter of a commercial salesman. June was born June 11, 1899, but in later years would shave months or even a whole year off her age, to hide the fact she was older than her husband. According to his obituary, Perce and June had two daughters, Anne and Georgia, both born in Michigan. 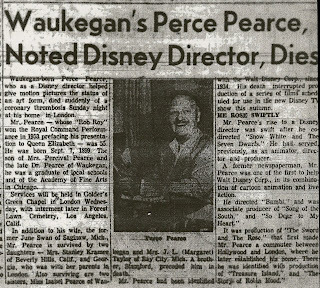 According to his obit, Perce started working for Walt Disney around 1934. I have no information on that, but can vouch that he and his wife were consistently registered to vote in Los Angeles County from 1938 through 1954. They initially lived at 1551 N. Stanley Ave in 1938, were both Democrats, with Perce giving his occupation as “artist”. 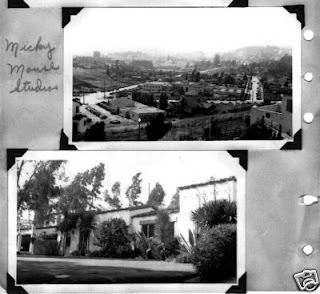 By 1942 they had moved to 8050 Selma Ave, while Perce’s occupation was now “Director”, and later became “Producer” in 1944. He switched political parties to Republican in 1948. One other unrelated item of information; besides the Southampton to NYC voyages already mentioned in your blog, Perce is listed as traveling from Honolulu to Los Angeles on the SS Mariposa, from Aug 31 to Sep 5, 1938. He was in first class as usual, and hence likely traveled at studio expense, but was not accompanied by his wife or daughters. By the way, according to the Disney Archives, Perce started at Disney on February 18, 1935, left on October 2, 1953 and died on July 4, 1955. 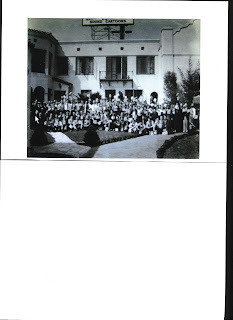 [I received this scan of a photo from the Disney studio in the 1930s from my friend Gunnar Andreassen here in Norway. 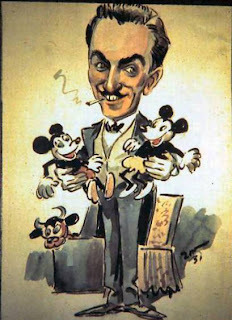 It's a scan from the CD-Rom: "Walt Disney - An intimate history of the man and his magic" - hence its bad quality. What the studio staff is holding in their hands is a box of "Post Toasties" each - see the enclosed scan of a box. 1) Does anybody have this photo in a good quality? 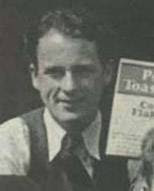 2) What is the story behind this photo - a publicity stunt for the "Post Toasties" in the 1930's? I will be in Paris from this afternoon until Tuesday. The blog will be updated again on Wednesday. Help needed with a tricky transcription! 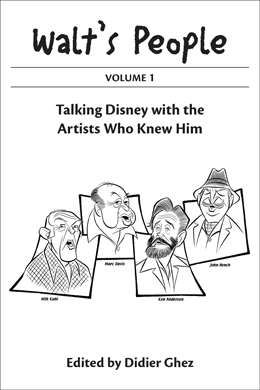 I had the pleasure to interview Disney Legend Milt Albright yesterday during more than 2 hours over the phone. Milt is 92 years old but is in perfect health and has a great memory and his stories about his time working for the company were all extremely compelling. Unfortunately at some point towards the end of the first part of the interview the batteries of my tape recorder were running out and about 20 minutes from the interview suffered. They have been recorded, but when you listen to them, both Milt and myself sound like Chip n Dale. Would anyone of you with a good sound equipment and "sound management" experience be willing to try and work on that transcription (those 20 minutes would need to be "slowed down" to be understandable)? I would like to send a rough transcription to Milt within the next 2 to 3 months to get his comments, changes and eventual approval. Any daring candidate? 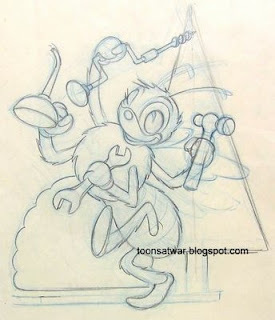 I have just been informed that an auction of animation art will happen in Paris on October 16, 2008. You can get more details (in French) at this link. I will mention it again once I receive the catalog. [Percival Pearce was born in Waukegan, Illinois, on September 7, 1899. He graduated in 1918 from high school and later graduated from the Academy of Fine Arts in Chicago. 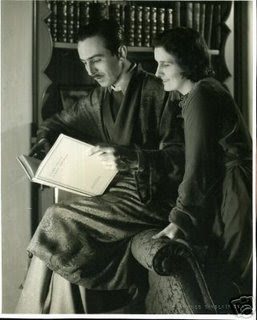 He moved to Los Angeles where he met Walt Disney and became a writer, producer and director. He married June Swan and they had two daughters, Mrs. Stanley Kramer of Beverly Hills, and Georgia Pearce, London. 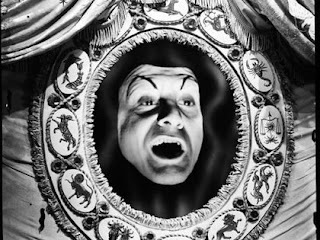 He died suddenly in London on July 5, 1955, of a "coronary thrombosis" (heart attack) while preparing a series of films scheduled for use in the (new) Disney television program that was to begin that fall. He was said to be the model for "Doc" in "Snow White". Only one daughter remains alive but I do not know which one! He is buried in Forest Lawn Cemetery in Los Angeles. There is a copy of his obit that should be on the Waukegan News-Sun website for June 5, 1955 along with a picture. I don't have a scanner, or I would send it to you myself! I think we're getting somewhere now! I read that Anne Pearce married Stanley Kramer in 1950 and they were later divorced. I believe she was his 2nd wife. Not sure if she's still alive--but will find out! Nov. 1951 - Percival is listed as traveling with June. Their address is the same. 1. Could someone send me a copy of the Obit mentioned above? I can't seem to be able to access it. The third book I received last week from Disney Editions is Disney's Dogs by Tamara Khalaf. (Since I had already shown the front cover a few weeks ago, I decided to show the back cover today). I thouroughly enjoyed that book. It's purely artwork, with close to no text and the format is extremely small, but the artwork has been selected with care and almost none of the pieces included had been seen before. Most of artwork included is either concept art, storyboards or animation drawings, with (thankfully) few cels. Some of the characters are also very obscure which introduces another level of enjoyable surprises. My only disappointment: the name of the artists who created the art is nowhere to be seen. While I realize that quite a few artists (especially earlier ones) would have been hard to identify, this is from my point of view a real drawback. 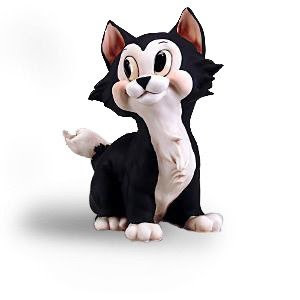 In summary: I definitely hope that there will soon be a Disney's Cats as I would love to buy it. On another note: Alice in Wonderland illustrated by Mary Blair seems to have started shipping on Amazon. I have not yet seen that book but we all know that it will be a pure delight, linke Cinderella last year and Peter Pan next year. I think you may be interested in this short by Romano Scarpa, Camminata Disney. In the early 80s an edited version was used as opening sequence of the italian tv show Topolino Più. For more information about this check this previous post. I will be in Portugal tomorrow. The blog will be updated again on Thursday. 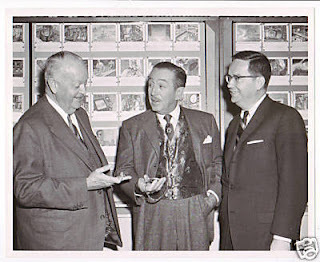 Here is another photo of Walt, probably from 1937, sent to me by Gunnar Andreassen. Any idea who the others are? 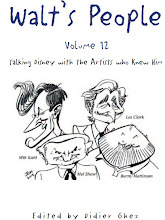 I am still looking for information about famous Disney artist Perce Pearce. A reeader from the blog, Judith Rodgers was kind enough to send me the following text she wrote about him. Any other information some of you could add? During the course of our lives, people often walk in, stay for awhile and then are gone from our lives. Sometimes we think of them and wonder what ever happened to so-and-so?? I was fortunate to have some wonderfully notable people in my life…some who came, stayed a bit, and then were gone as well as others that stayed. However, they all made an indelible impression on me, my life and interests. Now is my time to recognize and honor them! One such man was Percival Pearce—“Perce” to his friends; and I actually never met the man…but I know his story and I remember the things he did for me. Perce Pearce came from an old Waukegan family; his father had been an early mayor of the city and his sister was my mother’s dear friend. She owned Pearce’s Book Store on the corner of Gennessee and Washington Streets. From her every Christmas there came a wonderful Caldicott award-winning book or several of them and lots of advice on what books I should be reading! Her brother was Perce and was an extremely talented artist, drawing cartoons to entertain his friends as a young boy. He always had a drawing pad close by and would draw a story on each sheet and would paste each picture in one of the windows of their 3 story house. Confident of his talent he decided in the early 1920’s to head for Hollywood to see where his talents would lead. 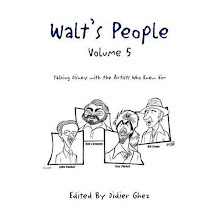 On the pier at Santa Monica, he happened to meet another young artist, also from the Chicago area, a man by the name of Walt who showed him some of the ideas he had to draw a mouse and all of his adventures. 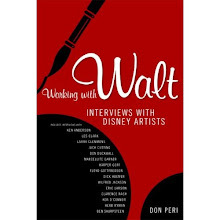 He convinced Perce to work with him, and, of course…you guessed it; it was Walt Disney. Disney was just full of ideas to do storyboards and animation and create more characters that children could love and relate to. 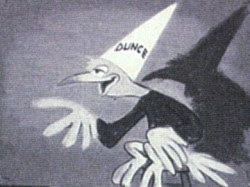 By the time he arrived in Hollywood in 1923, he had already made an animated featurette entitled “Alice’s Comedy” which debuted in New York City. 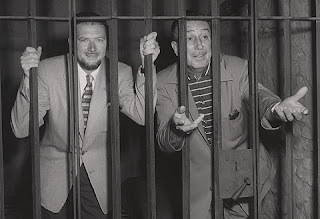 Walt was the brains of the operation—and the heart—while his brother Roy (who lived in California) helped supply the initial financing. With the ideas popping up rapidly, he relied greatly upon Perce to help to carry them out. As a result, there came the animated full-length movie “Snow White” in 1937, and “Bambi” in 1942; “So Dear to My Heart” in 1949. Perce was the director in charge of production and often the writer who helped create the characters and stories. So……what does this have to do with me?? Every year, from 1948 through 1955, I received 8 movie tickets personally signed by Walt himself and Perce, along with a letter hoping that I would enjoy these movies! I always had young friends who wanted the pleasure of coming to a “movie party”! The movies returned to theaters every few years and always there were free tickets and a letter from Walt and Perce inviting me to attend with my young friends! 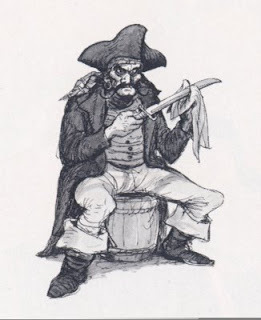 Later, in 1950, Perce Pearce was sent to England to make the first live action movies for Disney….”Treasure Island”; to be followed by “Rob Roy” and “The Story of Robin Hood” and “The Sword and the Rose”. 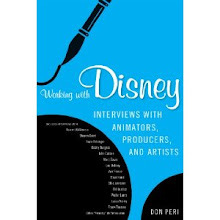 Each of these was produced by Disney and directed by Perce Pearce. 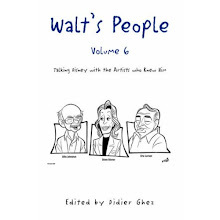 Nevertheless, each year after that I received the customary 8 movie tickets with a warm letter from Walt and Perce, hoping that I would enjoy these movies with my young friends! I believe I even tried by this time to send a thank you note….but I think it was addressed to Mr. Mickey Mouse and therefore, I am not sure it ever got there! When Perce was scheduled to return to California, the Bank of England told him that the money he earned in England would have to stay in England. So he settled there in a country estate and lived the rest of his life there. The man that I never met who was so kind to me still remains somewhat of a mystery. 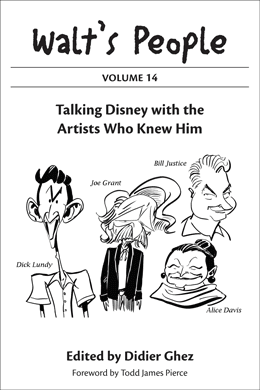 Even “google” cannot shed much light on his life, other than his many accomplishments with Disney—although there are over 1,000 entries under his name. I forgot to mention that the Walt Disney Family Museum site was updated on Friday. A very interesting story you gave us here ! I have a little bit to add to it. 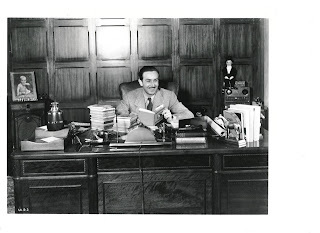 Some weeks ago I bought a photo of WD at his desk in his office, probably taken in 1937. It was a very sharp photo, and I was able - with the use of a magnifying glass - to read some of the words of the title of a book that lay on his desk. "Jimmie" "blue envelope". I found the book on eBay: "Jimmie Dale and the Blue Envelope Murder" and even the same edition that WD had. I have since then read about the series and the author, and it was great to get more information from you! 14. Electric desk watch with two pens. 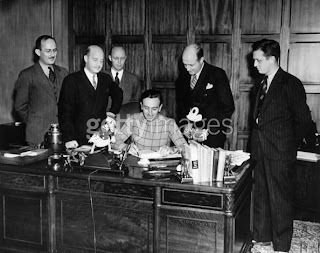 (BO) Still there in 1949 - probably one of the pens was used when signing contract with Kathryn Beaumont (voice of Alice) - there is a photo of this event. 23. Role of paper: a drawing ? 24. Two horses as book ends. Because of his polo interest ? 29. Charlie is sitting on a metal box: The same box as on desk on early 1930ies photo ? 30. An apparatus that has something to do with the telephone: also on photos from the early 30ies. 31. A figure of a dog or horse (?) - also on the early '30s photos ? Could these have been bought by WD in Germany on his Europe Tour in 1935 ? Not unlike what my good friend Jeff Kurtti experienced with the new WDW book, Bruce’s role on the DL book was “chief designer, critic and advisor.” Together we split the research and selection of the photos/artwork about 50/50 and I was responsible for securing (and ghostwriting) the “Introduction” by Julie Andrews and the “Foreword” by Michael Eisner (I guess that secret is out of the bag! 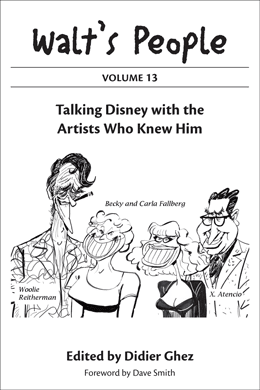 ), plus authoring all text throughout the book. 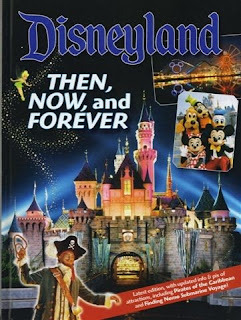 When “Disneyland – Then, Now, and Forever” premiered on May 5, 2005, as part of the launch of the park’s 50th anniversary, the Resort quickly sold-out of its entire stock within hours. 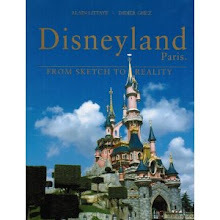 During the 18-month long celebration the book broke merchandise sales records for a Disney theme park exclusive publication. 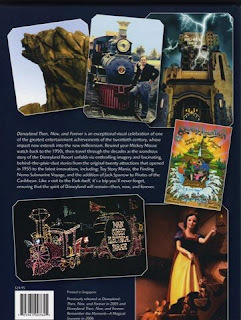 With the 50th anniversary now a distant fond memory I’m happy to report that “Disneyland – Then, Now, and Forever” has recently been updated with a slight redesign, plus a few new pictures and artwork highlighting recent changes to the Disneyland Resort including the popular additions to “Pirates of the Caribbean,” the “Finding Nemo Submarine Voyage” and “Toy Story Mania!” The new version of the book is currently available at the Disneyland Resort. Pinocchio, the beloved story of a wooden puppet who wants to become a real boy, comes to Platinum Edition DVD and Disney Blu-ray in spring 2009. 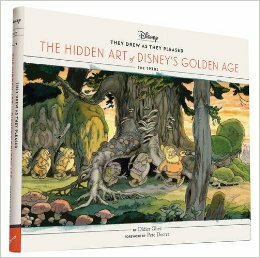 Snow White and the Seven Dwarfs, honored with a special Academy Award® for screen innovation will be released in Platinum Edition in fall 2009. The restored and remastered Fantasia Platinum Edition and Fantasia 2000 Platinum Edition will be available in 2010. In conjunction with these releases, Destino, the unfinished animated feature film created by Walt Disney and famed surrealist painter Salvador Dali will release.